The location was great, and the apartment very comfortable! The apartment was clean, spacious and really well located to be able to walk to interesting sights. Gordana was extremely helpful. Very spacious and meticulously clean. The beds were comfortable. Good location, very clean, renovated and well maintained appartment. The owner was very nice and kind. Gordana was an excellent host!! The location is very good. The apartment was spacious and comfortable. Beautiful apartment in a great location. Our host could not be more helpful--arranged taxi rides for us twice! The host was very friendly and helpful throughout our stay, from the initial meeting with her to handover the apartment keys and later on in promptly replying to all our queries through WhatsApp. She has gone the extra length to ensure our needs and queries were met. The property itself was perfect for us ( family of 4) and well equipped with all the anemeties needed e.g: wifi, TV plus cable, kitchen accessories and appliances, clean bed sheets and towels, dish washer, hair dryer etc... The area was very safe and within walking distance from the main attractions as well as restaurants and the doloc market where fresh fruit and vegetables can be purchased. Overall our expectations from this using this furnished apartment were exceeded. Lock in a great price for Apartment Place4you – rated 9.7 by recent guests! Apartment Place4you This rating is a reflection of how the property compares to the industry standard when it comes to price, facilities and services available. It's based on a self-evaluation by the property. Use this rating to help choose your stay! One of our top picks in Zagreb.Apartment Place4you is located in the Gornji Grad district of Zagreb, 1,650 feet from Zagreb Cathedral, 1,300 feet from Dolac Market and 1,300 feet from Ban Jelacic Square in Zagreb. Guests staying at this apartment have access to a patio. The apartment features 2 bedrooms, a kitchen with a dishwasher, a washing machine, and 1 bathroom. A living room with a flat-screen TV is also featured. Archaeological Museum Zagreb is 2,150 feet from Apartment Place4you. 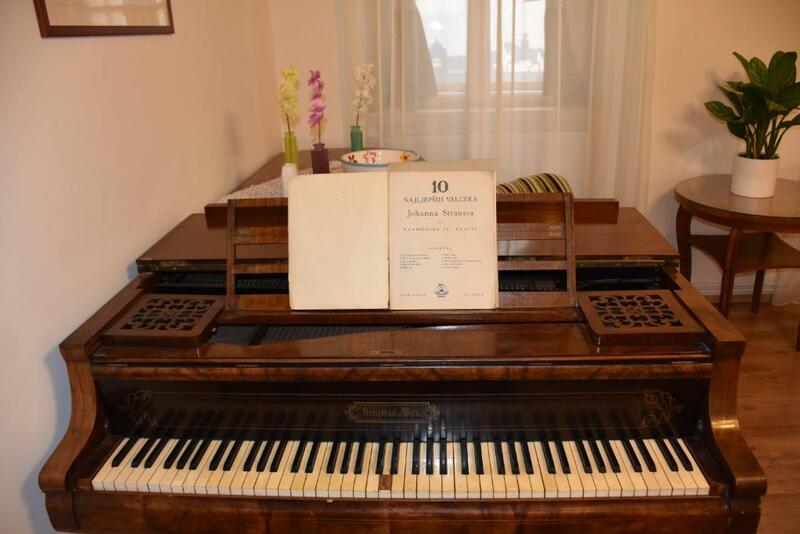 뀐 Located in the real heart of Zagreb, this property has an excellent location score of 9.8! When would you like to stay at Apartment Place4you? This apartment features a electric kettle, dishwasher and stovetop. My Apartment "Place4you" is located in the old town of the beautiful city of Zagreb only about 300 meters from the main Square of Ban Jelacic. Stay in the apartment gives guests a special atmosphere because of the type of building that was built before. My name is Gordana Buljan. I was born and I live in the city of Zagreb. By profession I am a graphic engineer. Turizmon deal of April 2015 and I look forward to every guest, and the possibility of getting to know people from all over the world. Very interesting and educational experience. In the city center you have the possibility of a very simple and very short time to visit all the sights of the city. The street where the apartment is located, although it is in the center, not noisy or busy. Area Info – This neighborhood is a great choice for travelers interested in cafes, atmosphere and restaurants – Check location Excellent location – show map Guests loved walking around the neighborhood! House Rules Apartment Place4you takes special requests – add in the next step! Please inform Apartment Place4you of your expected arrival time in advance. You can use the Special Requests box when booking, or contact the property directly using the contact details in your confirmation. The apartment is so well located to the old town and all the sights. We visited for the Christmas markets and this apartment is perfect for a family or group of friends to make the most of these. We loved the space and well equipped kitchen. All communication was friendly and very quick. Would highly recommend. Our host Gordana was very kind and helpful. The apartment was clean and cosy. We would definitely recommend it to everyone. Excellent location. Very clean apartment. there was some confusion with check-in as the apartment is located on a pedestrian only strip. shower door didn't close properly so a little water leaked out after use. extremely roomy and spacious with high ceilings and even a grand piano. great location close to amenities but still quiet. kitchen was very well stocked with essentials such as kitchen scissors and cling wrap even. great selection of tv channels. host was helpful giving basic information about Zagreb and nearby amenities. Location great.Host was very accommodating. Lack of daylight and the awkward position of the bathroom/toilet; you need to enter through the kitchen. Gordana is a nice host. She greeted us at the property and was eager to provide us with information about the property and Zagreb. Nice big bedroom. This apartment is located in the heart of Gornji Grad, which is close to all important places in Zagreb. I liked listening to the church bells form the Cathedral and the several other churches in the vicinity. The 2 rooms are linked so there is not privacy if you are more than 2 people. Difficulty to reach by car. Clean and big beautiful house in the city center. The hostess was great in helping us get there and organizing taxis. Uses Whats App so very helpful. 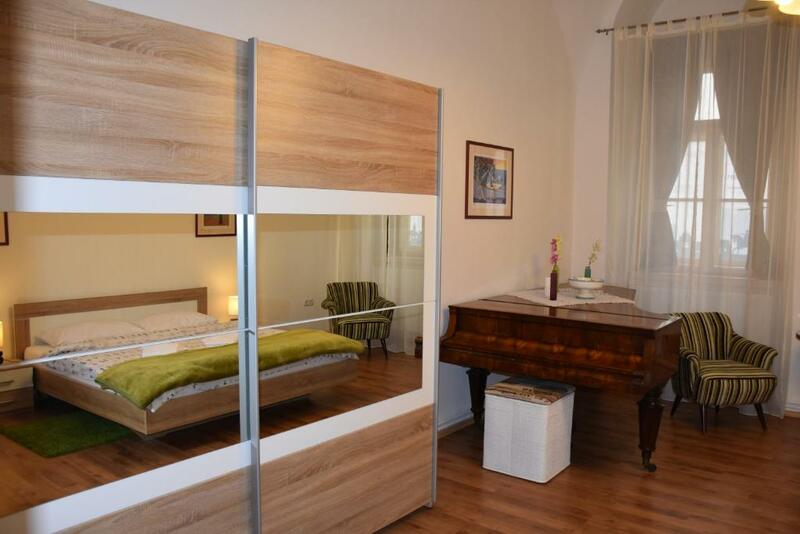 Big appartement in the heart of the historical City. Very welcoming people. 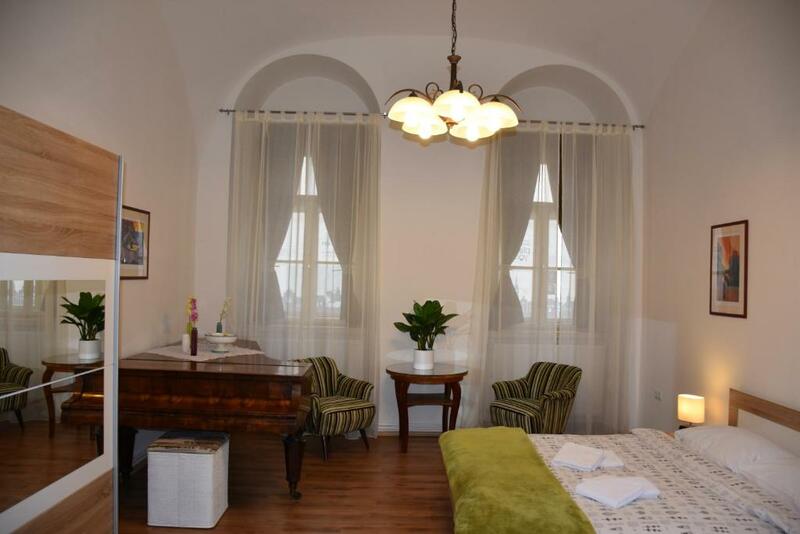 The apartment has a perfect location right in the hart of the old city. 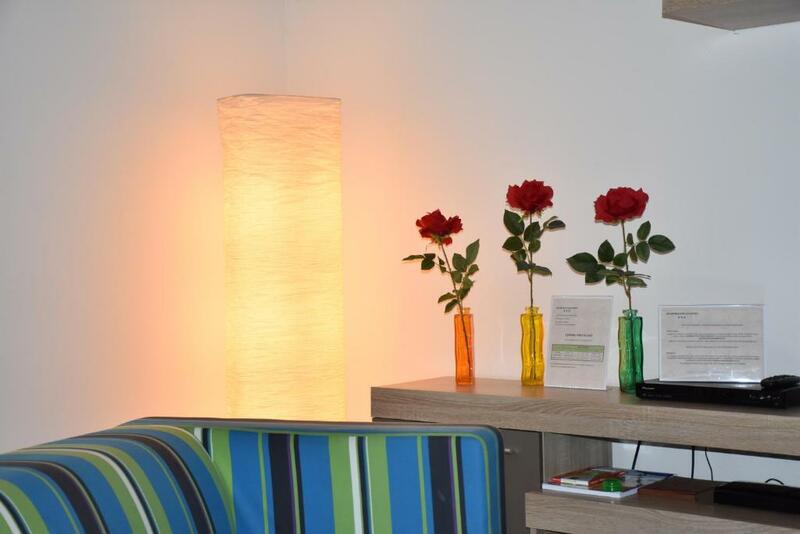 It has all the necessary facilities for a perfect stay, especially for families. Very good value for money. Our host, Gordana, was extremely helpful and kind, also giving us useful tips and advises. Very minor matter indeed but the bed sheet on the double bed could have been a bit wider. Additionally the noise levels in the evening and at night vary according to how busy the bars are in the area. This is an immaculately clean, massive apartment in a central location. It had every facility we could use including washing machine, iron, ironing board, large tv, free wi-fi, air conditioning. We didn't cook while we were there (there are ample facilities including pans and crockery) but appreciated the fridge for drinks and breakfast items. We also appreciated the dishwasher. The bed was comfortable. The building style means that once the apartment is cool it did stay cool without the air conditioning on. Restaurants and bars are very close nearby with a great choice. Gordana was so flexible on time to meet us there, had laid on welcome snacks including juice in the fridge, and was in touch during our stay to see if she could help with anything. Amazing hostess who runs a great apartment. It is unbelievably good value for money. Better acoustic isolation would be advisable. Ms Gordana was an added value to the experience. Kind and welcoming, with that little extra attention. Seldom I have seen such a clean and tidy place.